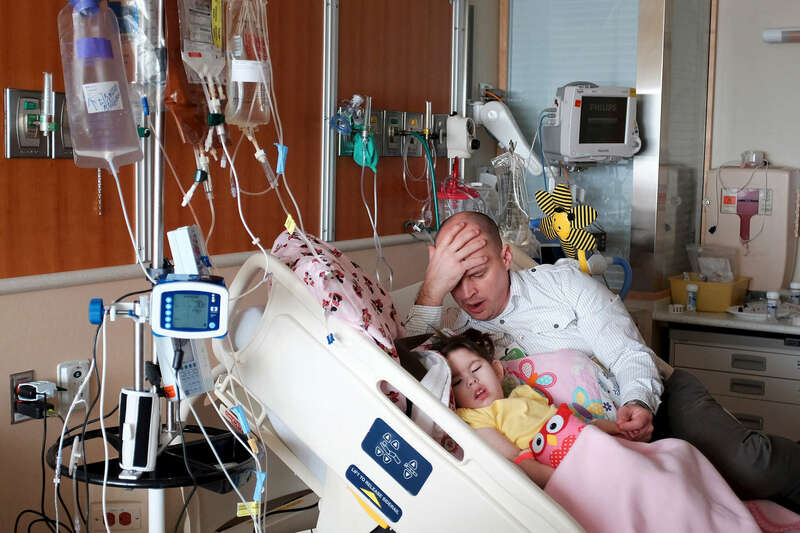 Adam Fredrick yawns as he lays with his daughter Michaela at Children's Hospital Colorado in Aurora, Colo. Michaela was deprived of oxygen at birth and suffers from crippling and potentially life-threatening seizures. Her parents began treating her with medical marijuana after seeing a documentary on its benefits and once Adam was transferred from Washington, Ill. to Colorado where it is legal. They say it has drastically reduced her number of seizures.